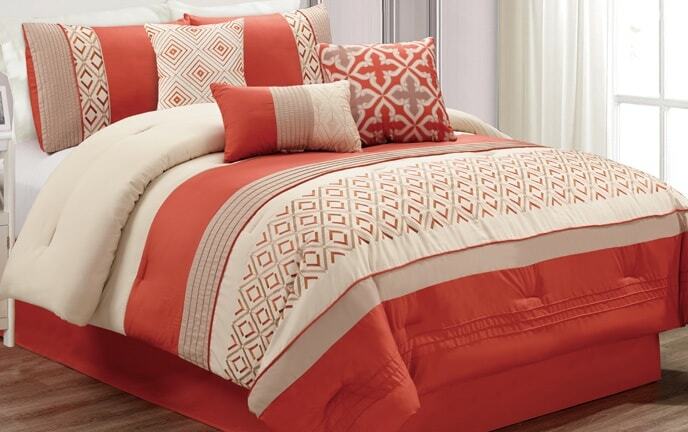 A mix of modern style and traditional patterns, my Lily Comforter Set surely is unique! 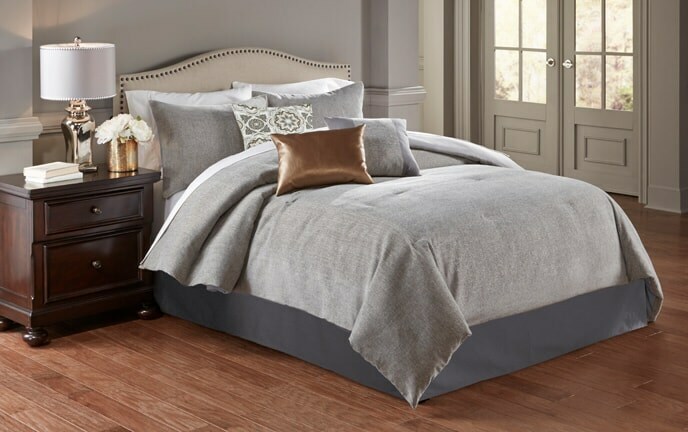 The decorative pillows lend a bit of contemporary flair with their trendy designs, however, the comforter has a look of its own. 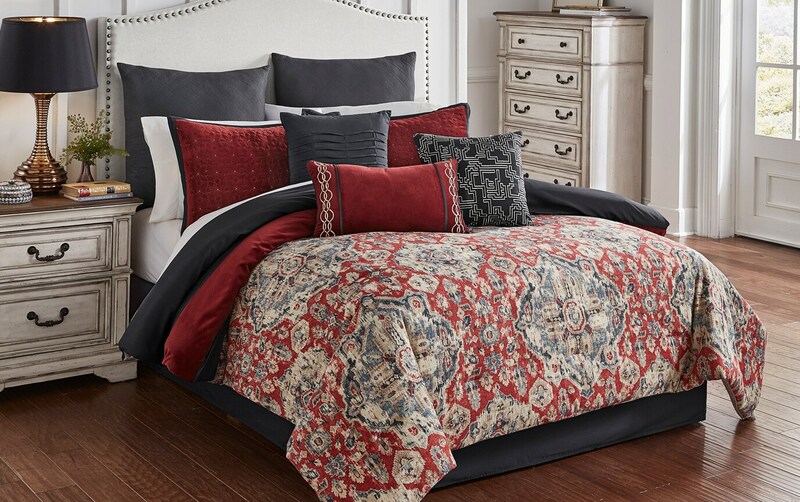 In red, navy and beige, this cotton and polyester comforter shows off a traditional tapestry look with a medallion pattern. 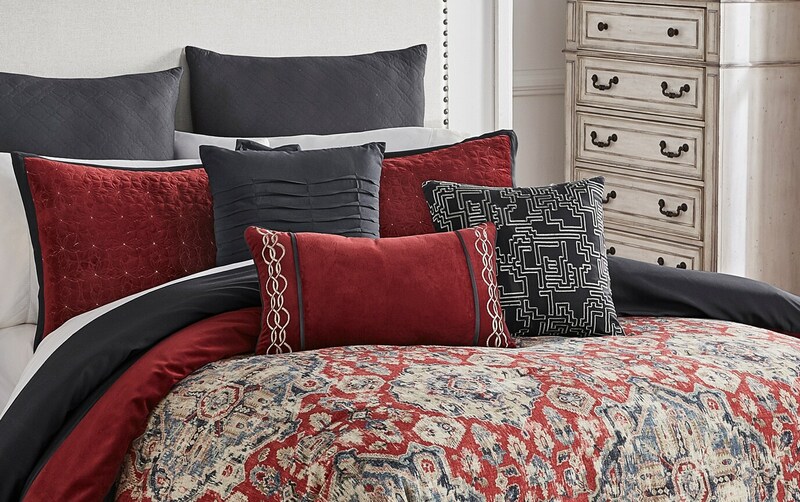 These two styles blended together make for the perfect finishing touch on your bedroom!